For Friday: Westward the Women is an unusual and interesting film about a wagon train of mail-order brides traveling across country to meet their prospective husbands. Robert Taylor is their guide; this is one of his better late-career roles. Not many of the actresses are well-known, but they play their parts well. Some will recognize Hope Emerson in an entertaining supporting role. It's one of the better films from the last part of William Wellman's career. I've never seen Morituri, but plan to record it. Is this the only time that roommates Marlon Brando and Wally Cox were in the same film? Yul Brynner, Trevor Howard, and Janet Margolin (Lisa from David and Lisa) also star. A friend pointed out that the cinematography is by Conrad Hall, who also shot In Cold Blood and The Professionals about this time. I may watch the film again if I think of it. Good movie. 9:30 a.m. 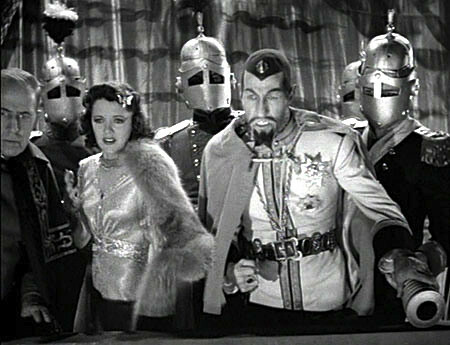 Flash Gordon Conquers the Universe: The Palace of Horror (1940). 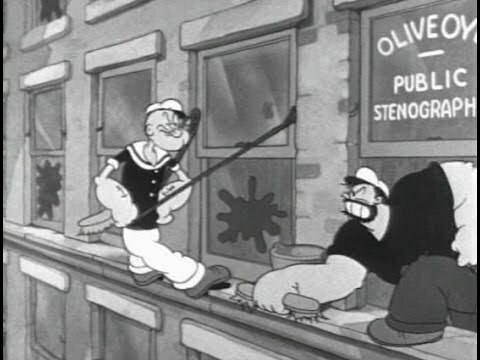 10 a.m. Popeye: The Paneless Window Washer (1933). 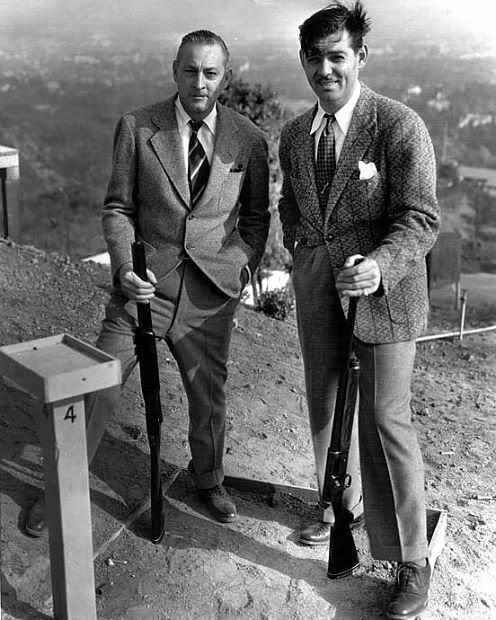 Errol Flynn at the peak of his career, with remarkable work by director Michael Curtiz and cinematographer Sol Polito. Erich Wolfgang Korngold's musical score is one of the outstanding triumphs of the movies. If you like swashbucklers, it just doesn't get much better than this. noon. Twentieth Century (1934). A Howard Hawks screwball comedy to rival His Girl Friday (1940). 4 a.m. L’aine des Ferchaux/Magnet of Doom (1963). I recorded this the last time it was on but still haven’t seen it. Jean-Pierre Melville directs. Jean-Paul Belmondo and Charles Vanel star. 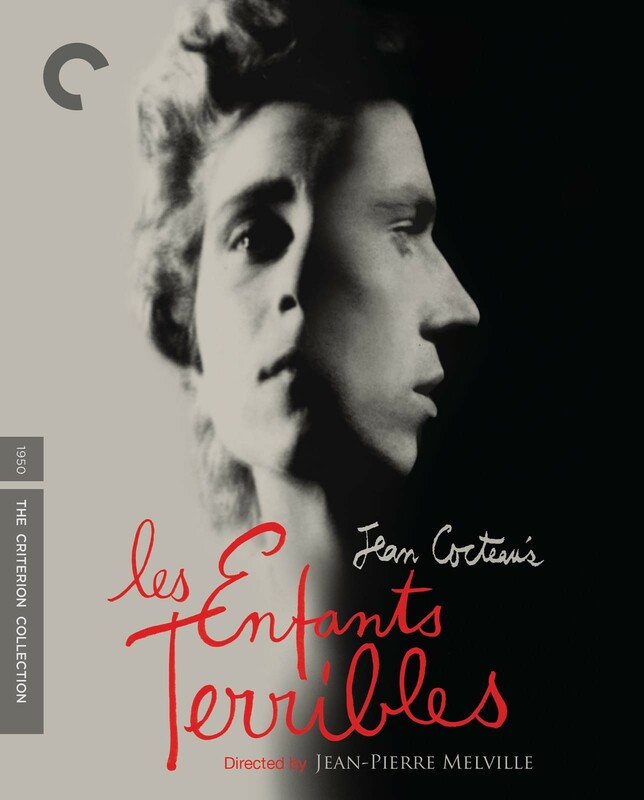 Also on March 24 at 2 AM as part of the TCM Import is Melvilles' Les Enfants Terribles. I own the original Cocteau novella of this. It's short and a good work. Much as I love Barrymore's divine lunacy as Oscar Jaffe in this screwball comedy, you can't understate the contribution of the balancing "sanity" that Walter Connolly and Roscoe Karnes bring to the film as Jaffe's associates. Columbia put all of its Oscar hopes into the It Happened One Night basket this year when it came to their promotions for the awards. I've always thought it a shame that Barrymore didn't get a much deserved Oscar nod for his performance in this film. Gable is engaging and likable in the Capra film (one of his best performances, without doubt) but Barrymore is truly inspired in 20th Century. John Barrymore from Twentieth Century is my choice for Best Actor of 1934. Les Enfants Terribles is a winner. 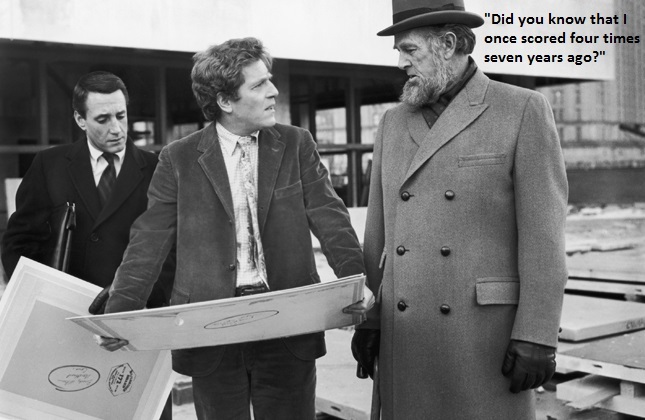 Great script by Cocteau, great direction by Melville. noon. 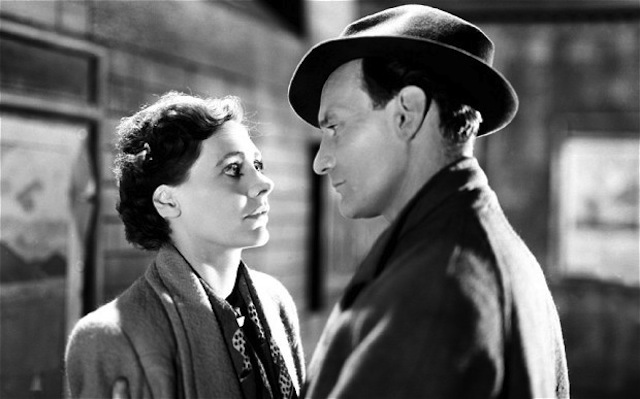 Brief Encounter (1945). Voted the most romantic film again and again in Britain. Starring two unlikely romantics, Trevor Howard and Celia Johnson. David Lean and Trevor Howard re-united for a variation on Brief Encounter. 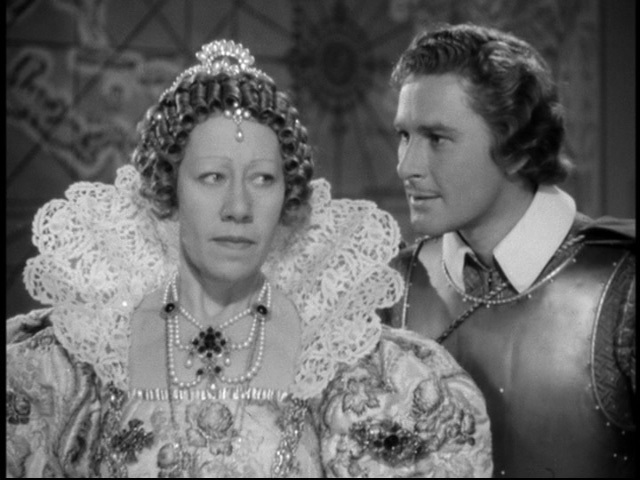 With Ann Todd (who looks luminous in some closeups) and Claude Rains as the middle aged husband. The final 15 minutes of this understated production is involving and quite moving. I really like David Lean's non-epic films. I loved Summertime, Brief Encounter and Blithe Spirit. I'm looking forward to seeing Madeline and The Passionate Friends. 10:15 p.m. Middle of the Night (1959). 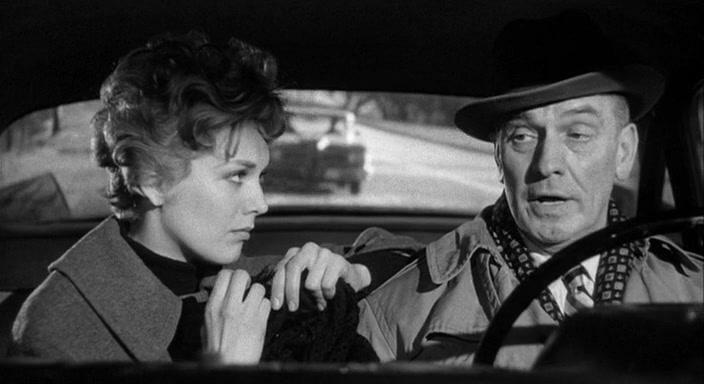 I still haven’t seen this Fredric March, Kim Novak film. George Segal night! They are all worth catching. 2:15 a.m. Loving (1970). With good support from Eva Marie Saint and Sterling Hayden. THE PASSIONATE FRIENDS is a very subtle, but interesting film that almost demands multiple viewings. There’s one particularly good ssene in the London Underground near the end of the movie. MADELEINE Is also really good, I tried to watch it yesterday morning but my Internet kept screwing up. 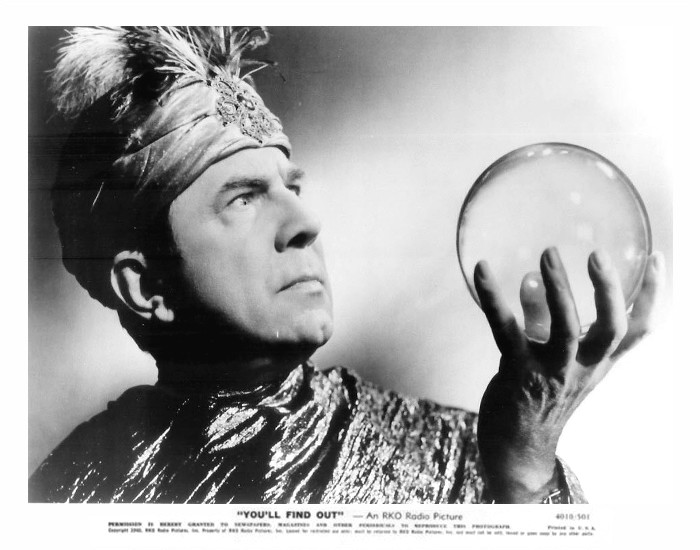 I enjoyed 'David Lean Day' on TCM. 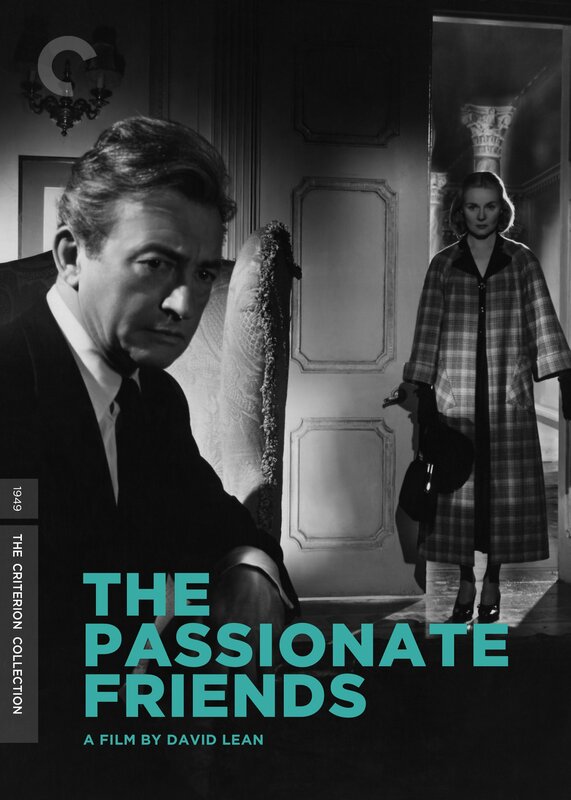 I was able to catch "The Passionate Friends" (which I'd never seen before) and "Brief Encounter" (shown a lot on TCM, but I'd never seen it all the way through). Both pictures were made a couple of years apart, but I thought Trevor Howard looked rather gaunt and almost malnourished in "Brief Encounter" (at least, facially) as compared to his role in "The Passionate Friends". I loved the perspective given by Celia Johnson's character in "Encounter" and how she struggled mightily with her emotions as her chance meeting with a doctor blossomed into a friendship, then graduated to 'affair status'. What can you say about Claude Raines? The guy was so good in just about any part he played, and his turn as the jilted husband in "The Passionate Friends" was no exception. I didn't know anything about Ann Todd until the internet came along (and TCM). The first thing I remember seeing her in was "Madeleine", and while I didn't catch it Monday as it was on too early, I've seen it before and enjoyed it. It made me want to see more of her work, as well as Ivan Desny's. In a way, Ann Todd reminds me of a British version of Eva Marie-Saint, based on looks, even though Todd had about a decade head start in her career. I know a lot of posters here are ambivalent about "Doctor Zhivago", but it's one epic that I don't seem to tire from watching. Maybe it's because it was one of the favorite movies of a friend of mine who gave me my first radio gig more than 35 years ago. He died in 2016 at the age of 67, so every time I think of him, I think of "Doctor Zhivago", and vice versa. Overall, the acting in "Zhivago" is very good. Nobody seems to give a bad performance, and while Rod Steiger has taken a lot of flak for chewing scenery in his career, I don't think he's over-the-top here at all. 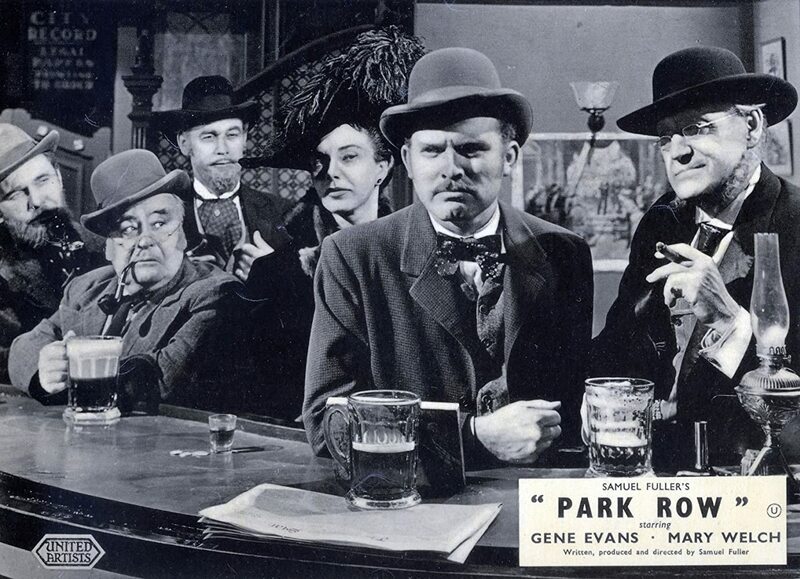 Park Row (1952) Samuel Fuller film with Gene Evans. The film times were not showing up on my web page this morning. I saw PARK ROW when they had a SAMUEL FULLER retrospective on TCM a few years ago. It's a strange film, not great- but not bad either, and I have the feeling it probably is better the second time around. the really weird thing about it, as i recall, is that it had not one single actor in the cast I recognized or knew from anything else EVER, which is odd, because I usually know at least one or two names, even those of esoteric supporting players. I think the most fascinating thing about it is that, for some reason, The Special Effects A-Team at RKO got assigned to this picture and they do a damn fine job- even a quick cutaway scene where the bridge connecting the haunted house to the mainland blows up is pretty spectacular...and the eerie sounds coming from the "ghost" invoked by medium mystic PRINCE SALIANO as portrayed memorably by BELA "110%" LUGOSI dressed as NORMA DESMOND- are genuinely unsettling and creepy. ...although not as unsettling and creepy as KAY KYSER- who seems to me like BENNY GOODMAN attempting to do patois. KARLOFF and LORRE are also "in" this- KARLOFF fleetingly and LORRE pretty regularly- he looks dangerously skinny and strung out and his bad dental work can be glimpsed...he smokes extra long Virgina Slims and seems like he is SO OVER BEING IN THIS MOVIE, which from most anyone else, I would not accept, but PETER LORRE can make even being SO OVER IT a delight to watch. recommended in spite of the 50/50 nature of the movie, and to be fair, KYSER did have a lovely singing voice. YOU'LL FIND OUT isn't really "about" anything, but it's just fun. No, I meant You'll Find Out! I've seen Park Row.